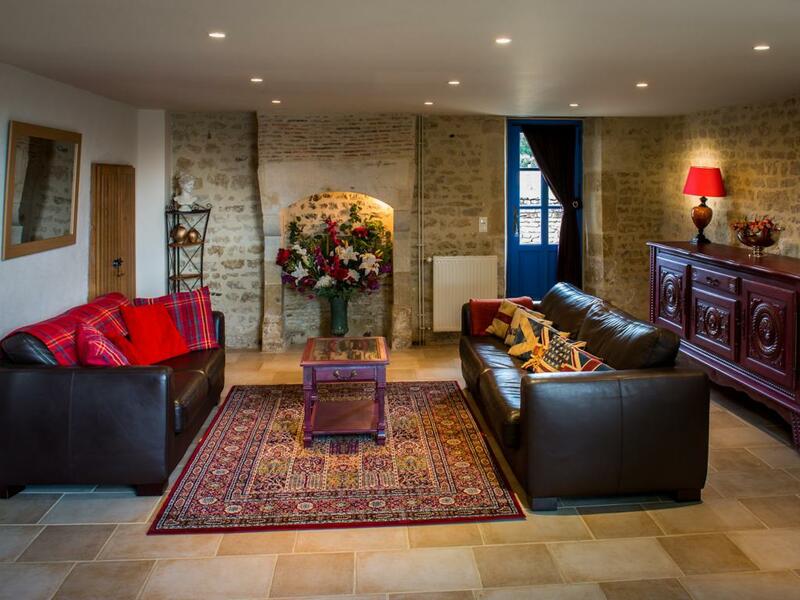 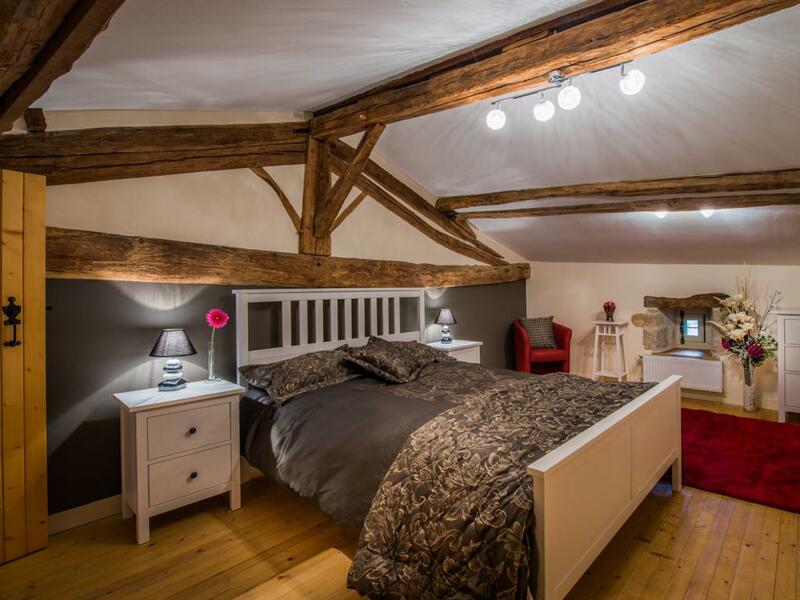 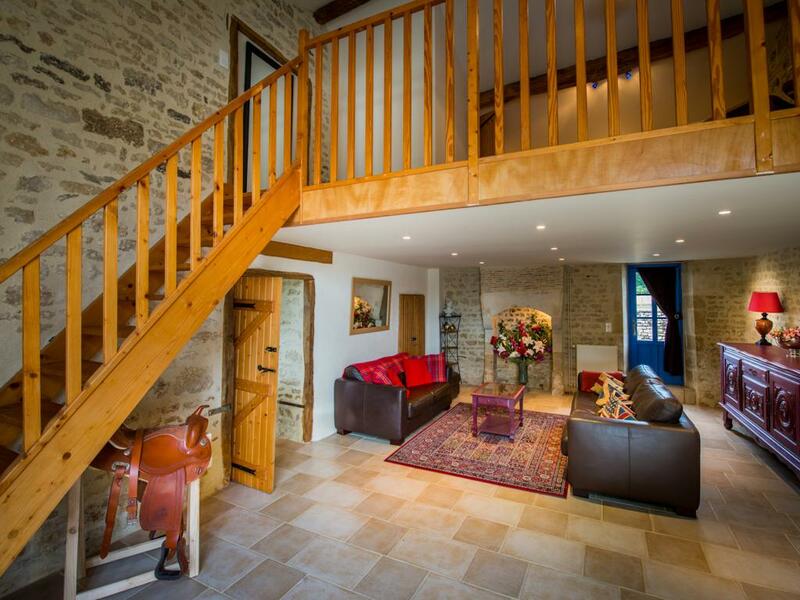 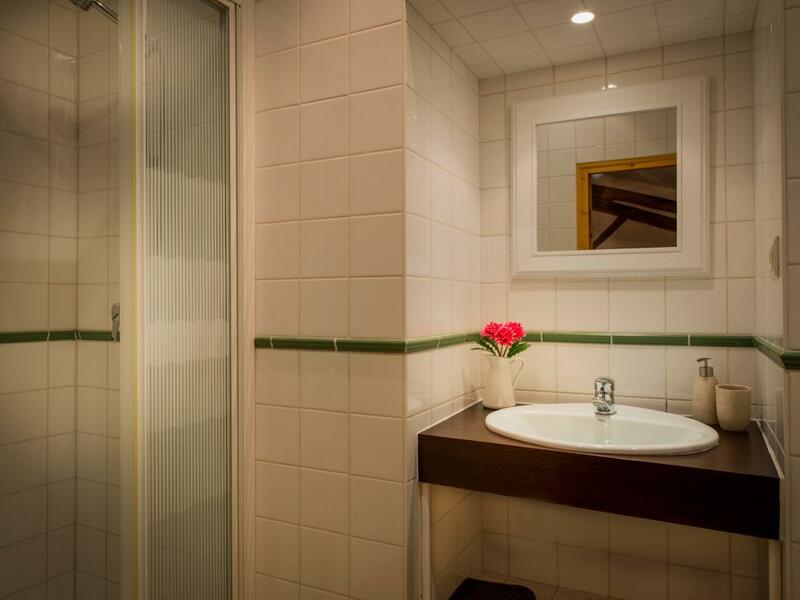 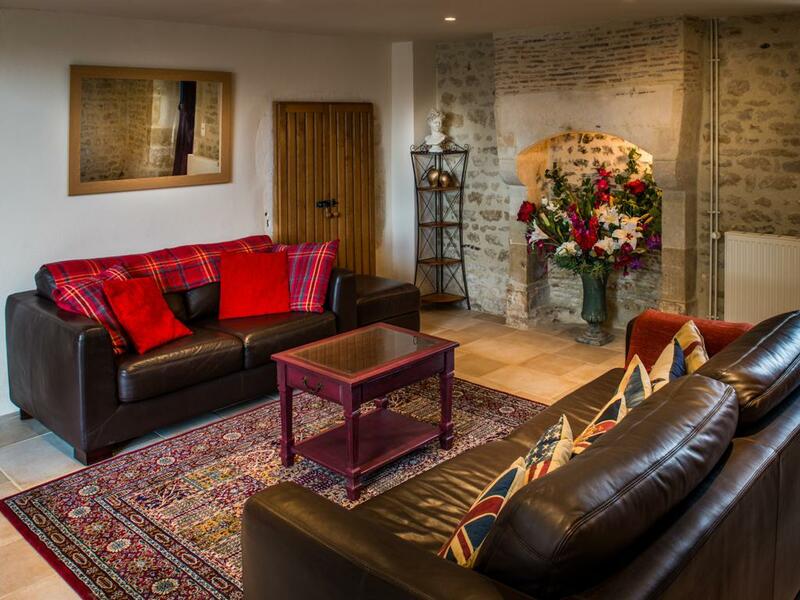 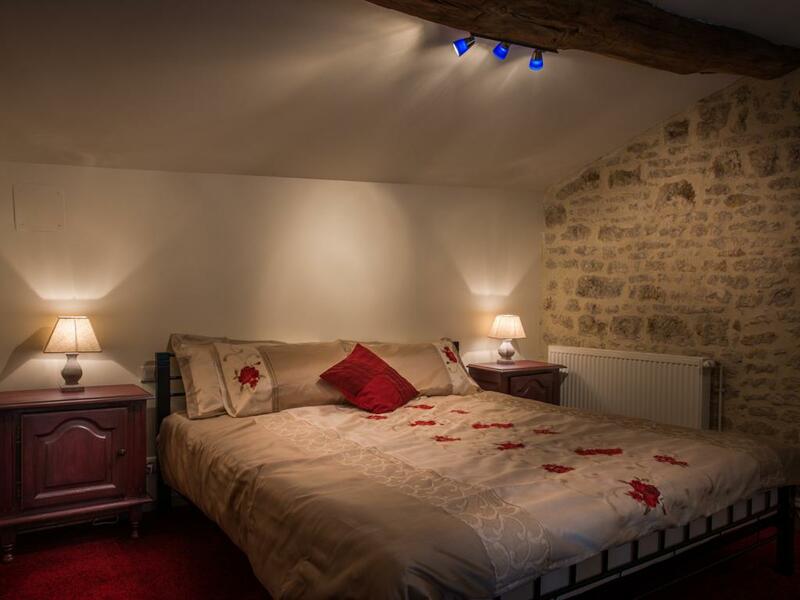 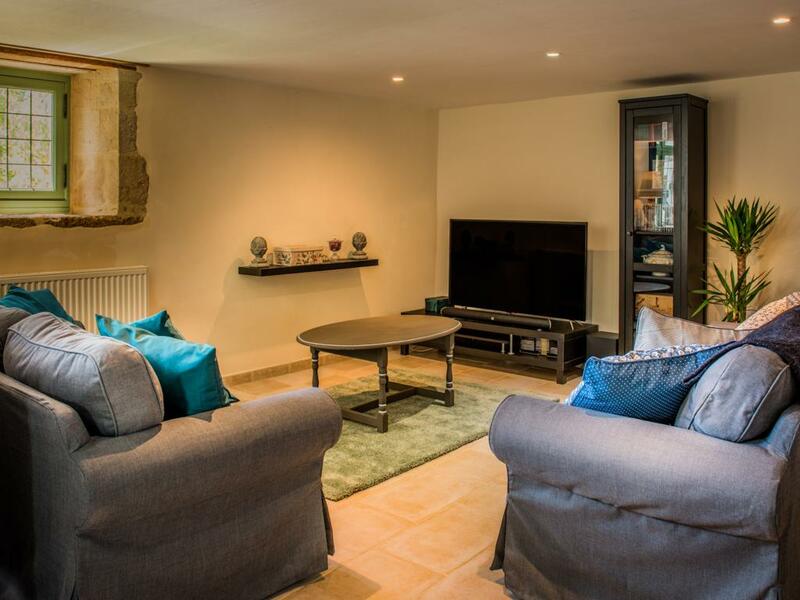 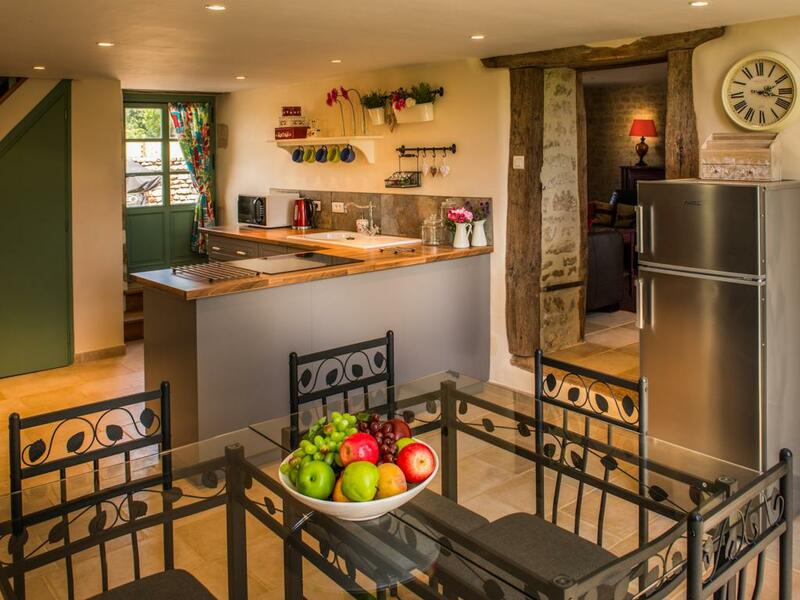 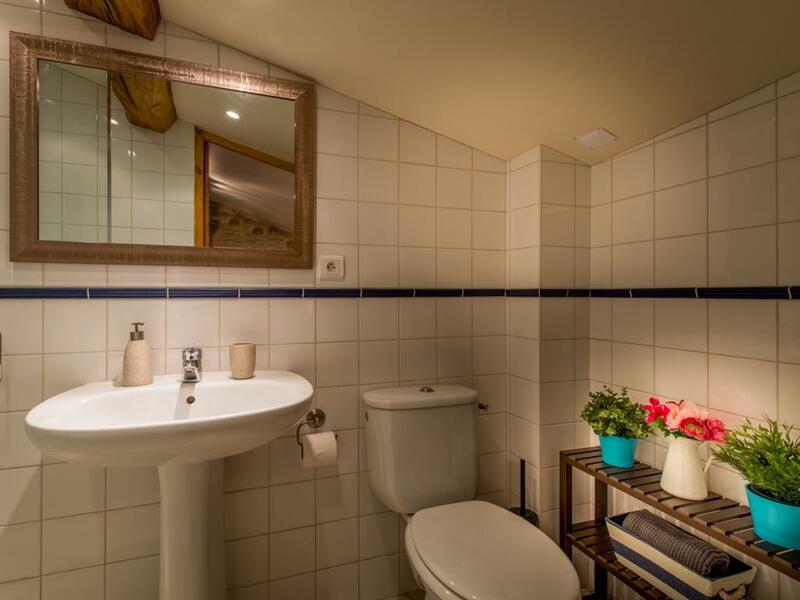 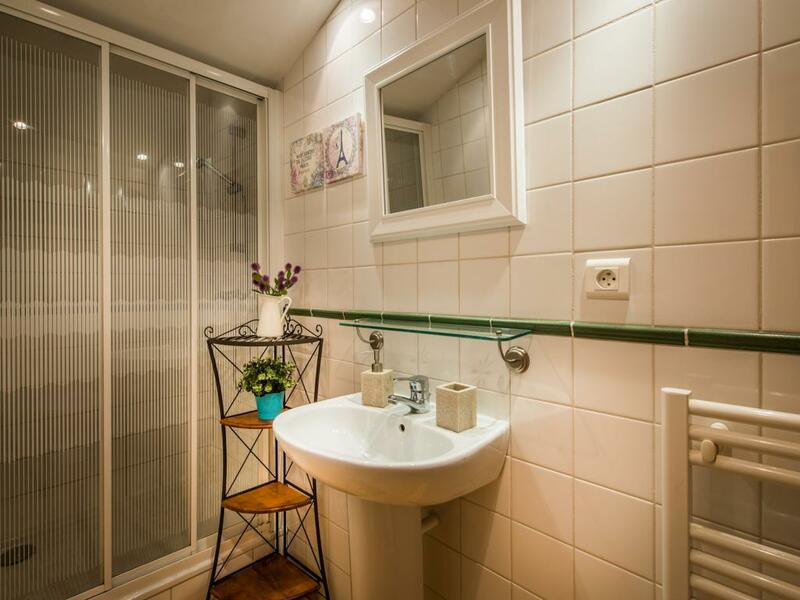 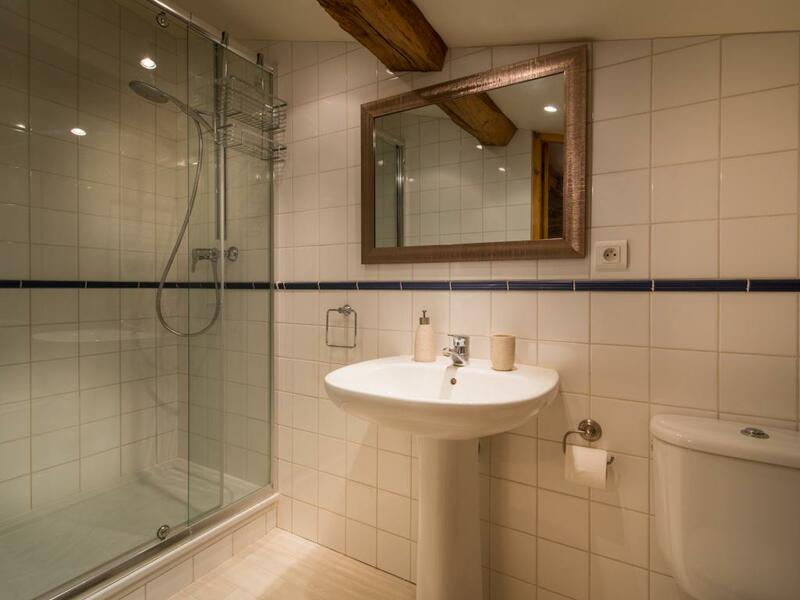 Far more than your standard self-catering gites, we offer a spacious and luxurious setting for your holiday with either 2 or 3 large bedrooms available. 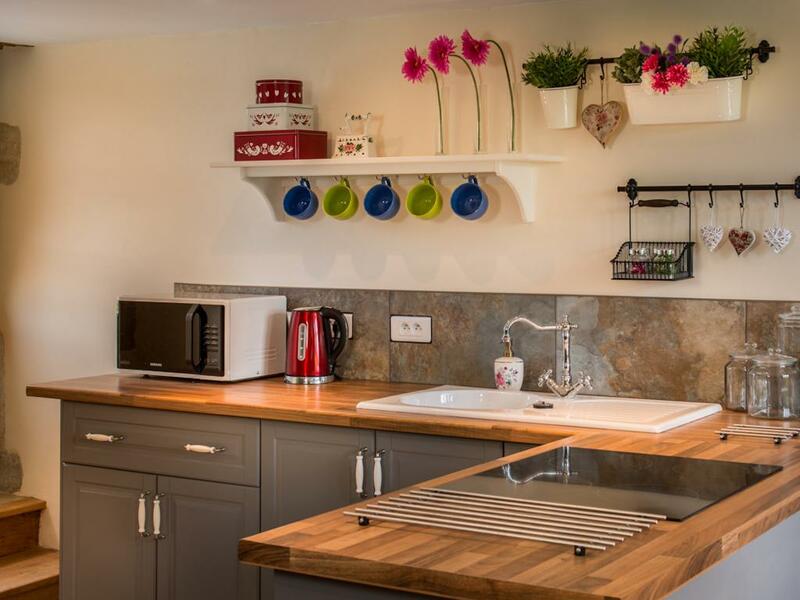 Tastefully decorated with all the usual added extras, we are targeting repeat visitors and those that do enjoy and appreciate quality. 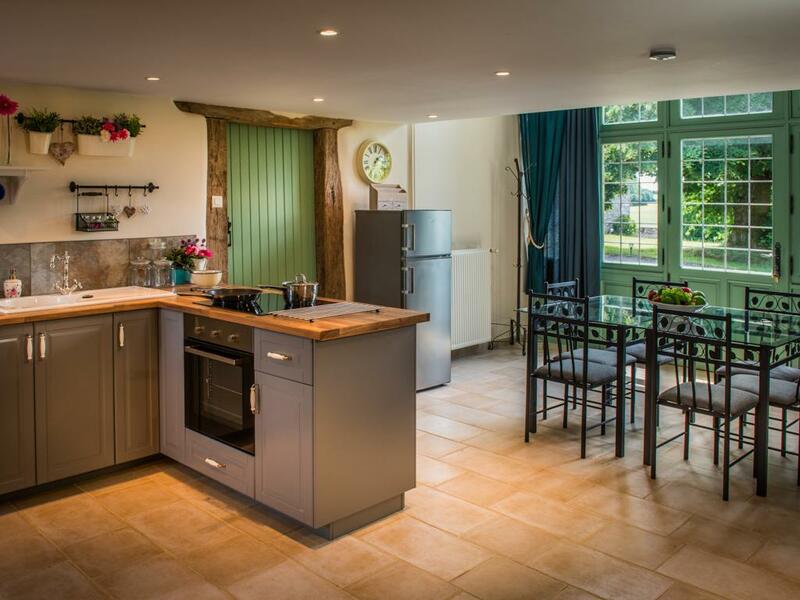 We are ideally suited to that 'special occasion' and, depending on availability, can offer extra services such as evening meals and picnic lunches. 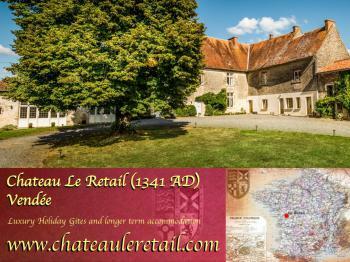 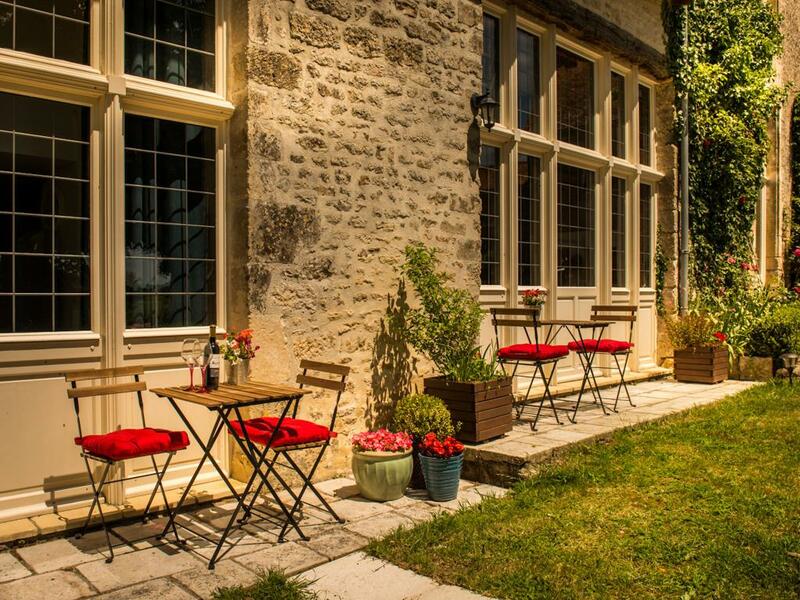 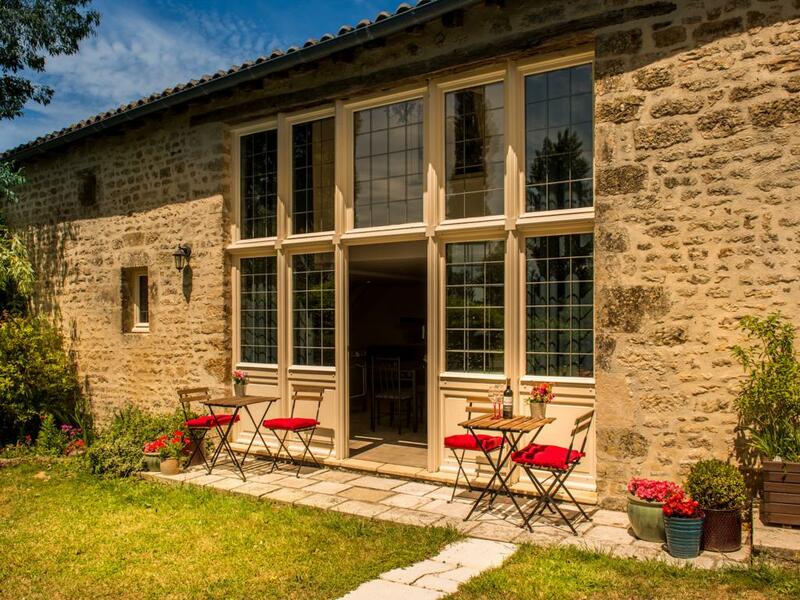 You will have sole occupancy of your gite in a beautiful relaxing countryside location. 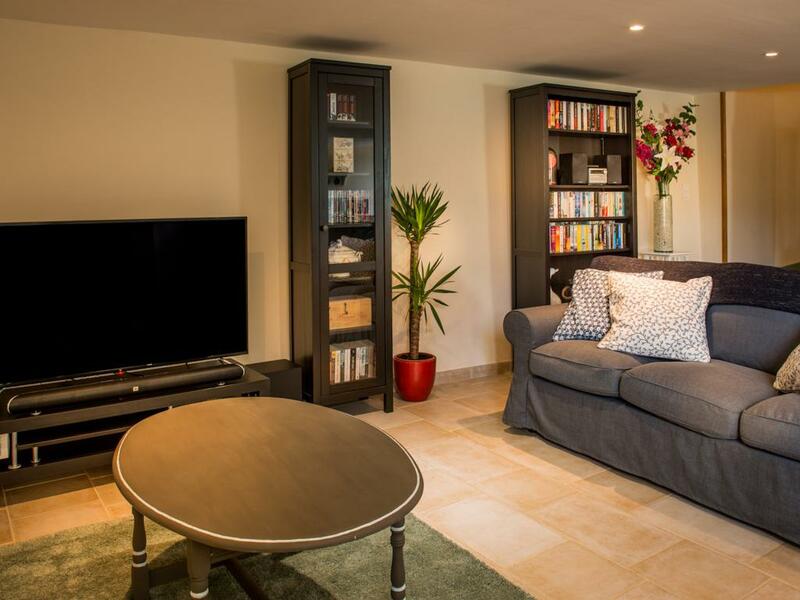 A spacious, open plan lounge, dining and kitchen area provides your main accommodation area, with TV and entertainment facilities. 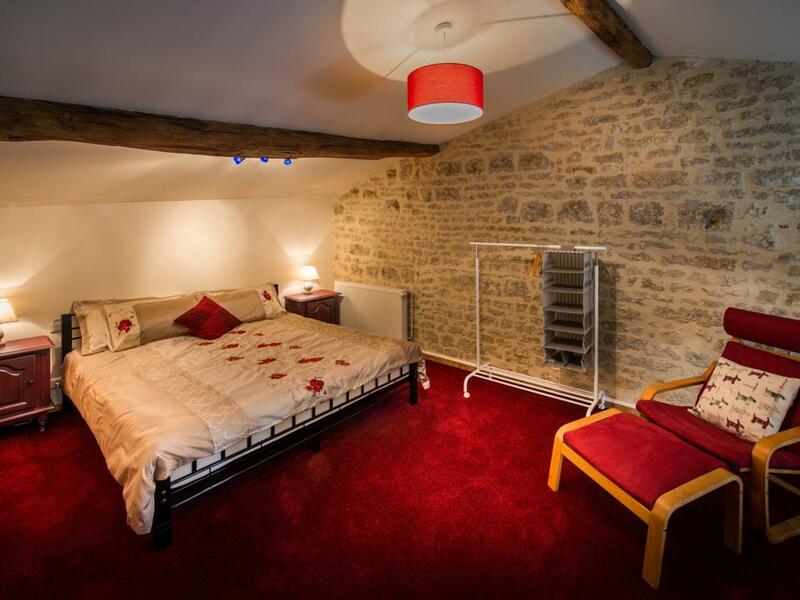 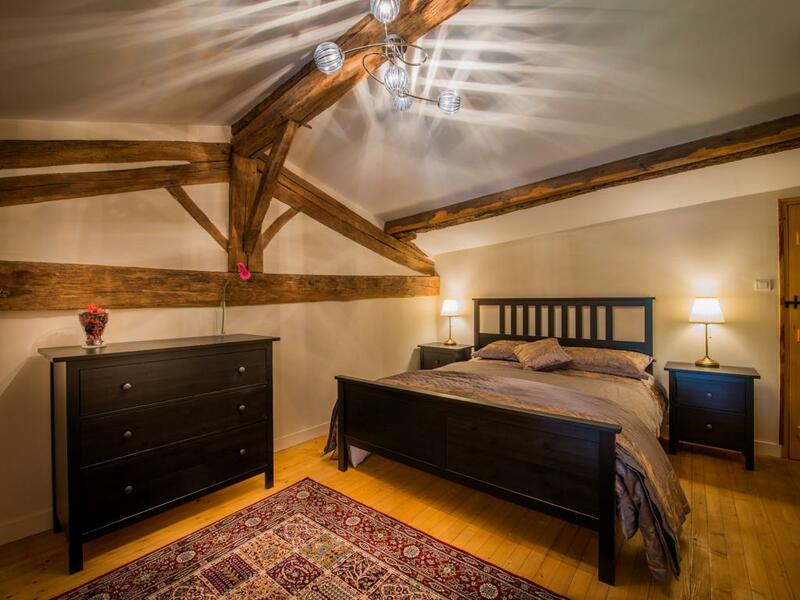 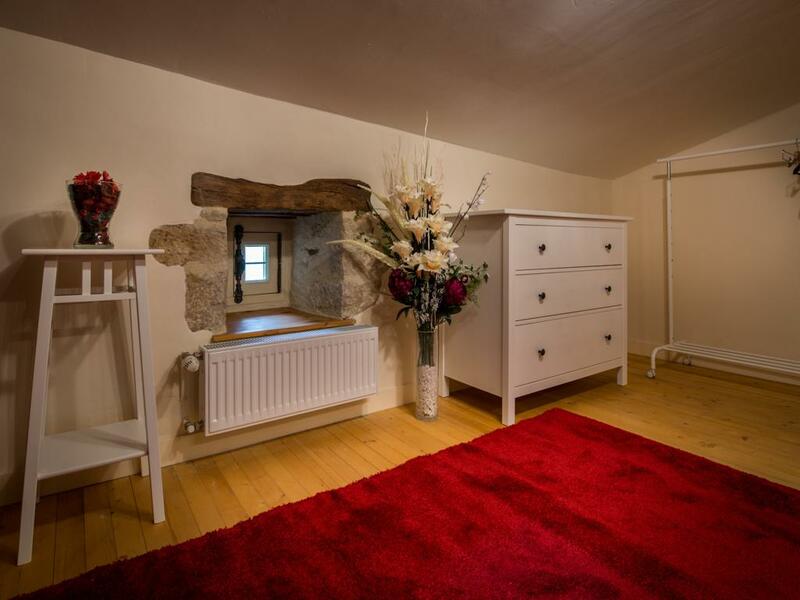 From this area two large bedrooms are accessible upstairs, both with King size beds and en-suite shower rooms. 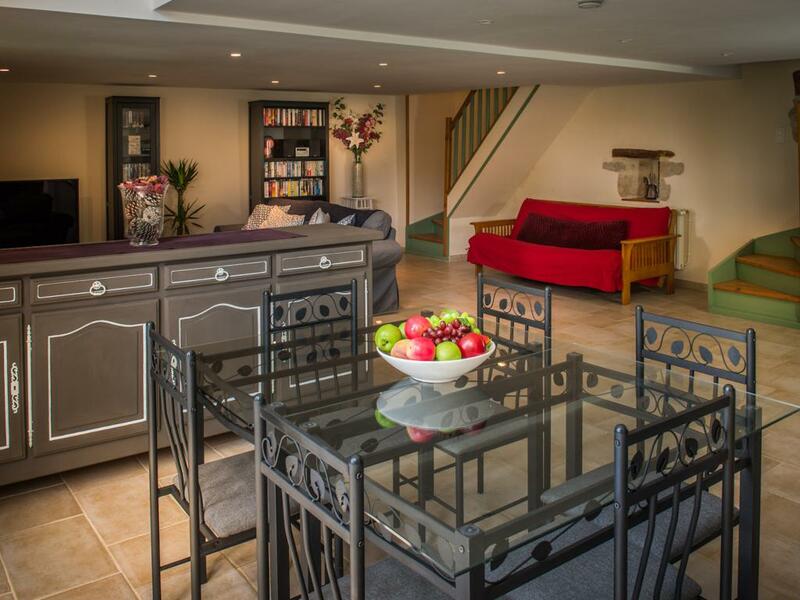 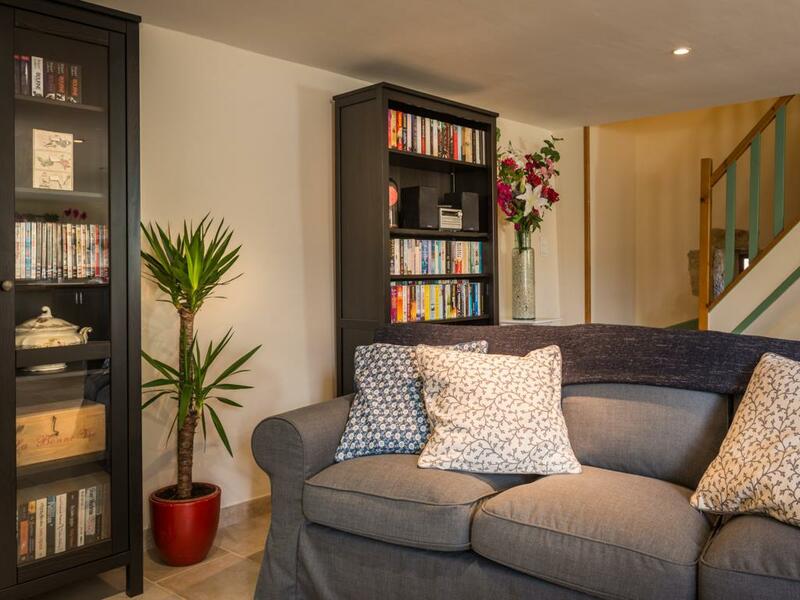 An adjacent lounge area, with the third mezzanine bedroom area is available when booked for 5 or 6 guests. 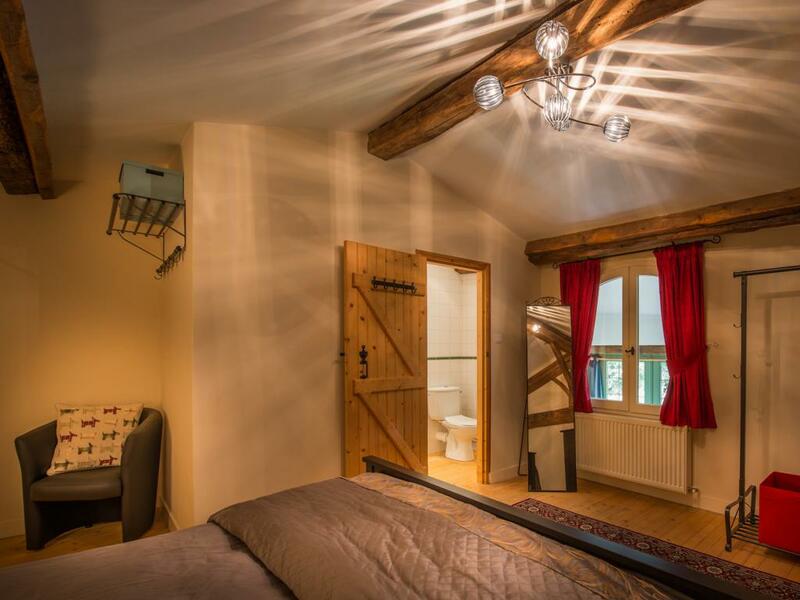 A Superking size bed, with a further en-suite shower room are on this mezzanine level. 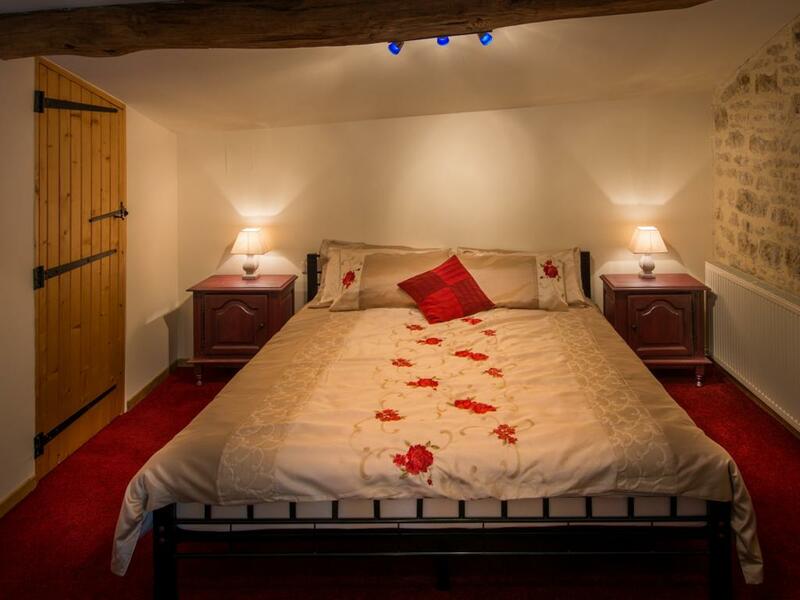 All beds have memory foam mattresses. 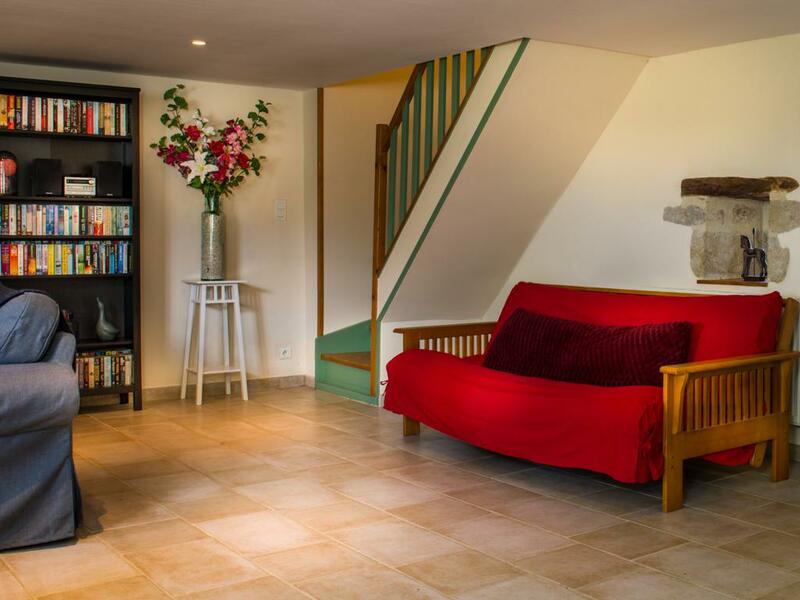 Both ground floor areas have front and rear entrance doors to patio areas.